Whether You Need Peace, Solitude or Adventure - Kufri Has Something For Everybody. If you’re an out and out adventure junkie, plan a trip to Kufri – the winter sports capital of Shimla. From skiing to tobogganing, there is an endless list of things to do in the snowy valleys and mountains of Kufri. The best time to visit the beautiful hill station is in winter, when everything is bathed in pearly white snow. 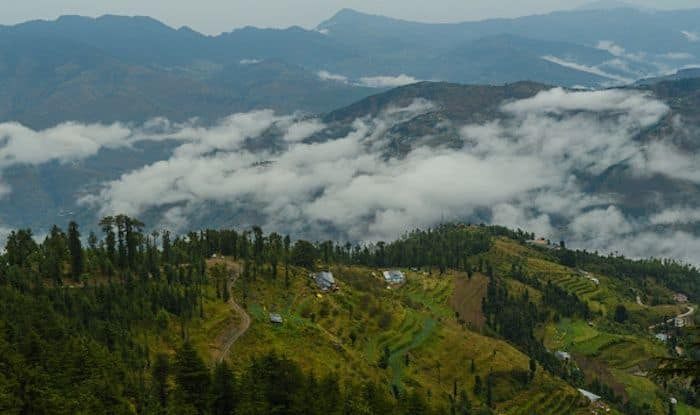 You can also explore the Himalayan flora and fauna at the Himalayan Nature Park, or embark on a thrilling trek to Mahasu Peak for a stellar view of the neighbouring mountain range. And when you think you need a ride, hop onto a horseback or a yak. Skiing in Kufri is special owing to its beautiful slopes, high altitude and snowy peaks that grace the landscape. Whether you’re an amateur or an experienced skier, you must give the sport a shot here. Another exciting adventure sport here is tobogganing, where you slide downhill on a sled. A most classic way to explore Kufri is on a horseback. The excitement of braving the slightly rough terrain of the trails while riding a horse is an unparalleled experience. However, the demand for it has dwindled considerably in recent times owing to the extra bumpy, rocky trails here. Spanning an area of 90 hectares, the Himalayan Nature Park in Kufri is one of the most iconic places to visit, especially if you’re a nature lover. Besides housing a diverse range of wildlife including 180 avian species, you are also treated to incredible views of the Himalayan mountains. You can opt for a guided tour of the park or explore it on your own – either way it will turn out to be memorable. An experience entirely different from a horseback ride is a yak ride. Kufri is among the rare places in India where yak rides are possible. Apart from enjoying the beautiful mountain and forest trails, it is truly mesmerising to see how yaks function in the bone-chilling weather of Kufri. A hike up the famous Mahasu Peak is something you shouldn’t miss when in Kufri. You can experience stunning views of the incredible Kedarnath and Badrinath mountain ranges from the summit after the hike – a view to die for. The Mahasu ridge is an ideal place to practice and sharpen your skiing and hiking skills before you go onto more challenging terrains.